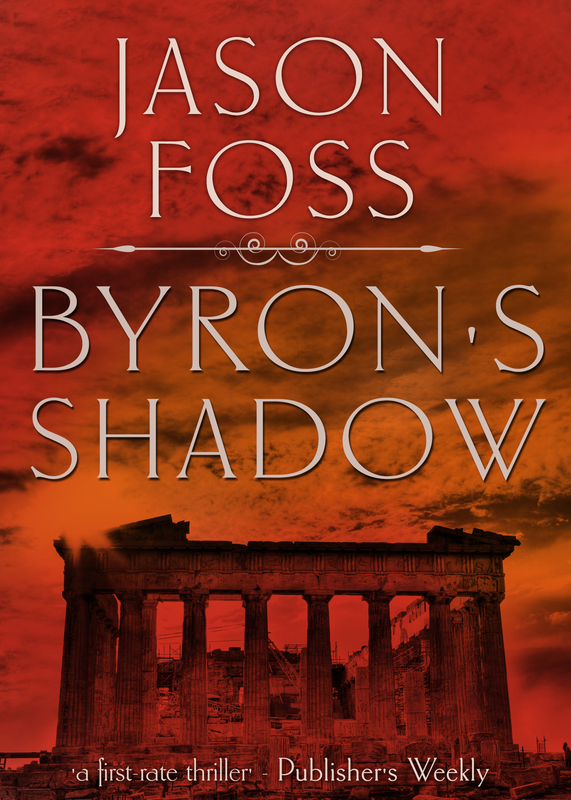 Byron’s Shadow was my second novel, but it was almost my first. Like many aspiring writers I had several projects on the go, part-finished or in early draft. My love of Greece inspired me to write the book – the light, the ouzo, kebabs and Nemea wine – let alone the archaeology poking from the ground in every direction. The first draft was part historical novel, part detective story. It alternated in telling the ‘historic’ story of Byron F Nichols with that of a young archaeologist called Jeffrey Flint who comes across a murder in the 1980’s. When offered a book deal by Severn House, I set Byron aside and wrote the archaeology-detective novel that became Darkness Rises. That featured an older Jeffrey Flint getting into another scrape in England. This was followed by a three-book in three years deal, which was great as I already had Byron in first draft and the plot of Shadesmoor sketched out. Now I had a series, Byron needed to conform. The whole ‘historical’ story was discarded – although it remains as the ‘back story’ which only I know, and which Flint is forced to uncover fact by fact. Flint had to be young at the time of the murder, as certain fixed historical facts demanded it. This meant the book could indeed have been a ‘prequel’. However, over the table of an Indian restaurant my editor pointed out that as readers now ‘knew’ Flint and his colleagues we could not go back to his student days. It would mean unlearning the story arc he had already followed. So the story was restructured. The two time frames now see Flint as a student stumbling across the crime, but the older (maybe even wiser) Flint travelling back to Greece to investigate. I just had time to slide a couple of references into the first book hinting at what had happened before. When the series was republished by Endeavour I took the opportunity to cheekily drop in a few more references to events in Greece. Like a multi-layered archaeological site, ‘Byron’ becomes both prequel and sequel.